Winter is on it’s way and I’ve definitely noticed a drop in temperature this week, socks have been replaced by wool tights and our warm coats are at the ready. Every winter, I’m on a mission to keep our home warm (I still have thermometers dotted around the house from when the kids were babies). There’s nothing worse than feeling cold and not being able to warm up and it’s important health wise especially for our younger kids and Danny, due to his heart condition. One of the most important factors to consider in cold weather, is how to keep the heat in. There’s no point warming the home and then letting all the heat escape through windows, doors and the roof. Our home already has loft insulation and double glazed windows and it makes such a difference. I know from experience that the cost of big home improvements like this can put people off investing in them. However, there are finance options available to make big investments like this more affordable, for example you could buy your double glazing on a 0% finance offer. 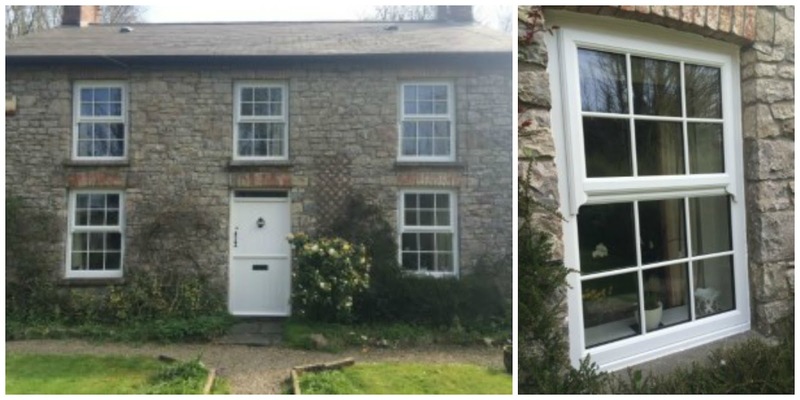 Falcon Installations, a window installer in Bridgend, offer 3 years interest free 0% finance with all of their windows and doors. This gives you the freedom to improve your home without having to worry about the cost of potential interest in the long term. Once you have double glazing installed, as well as peace of mind, you also make savings on your energy bills too. As well as double glazing, we also like to keep the heat in with lined curtains. You can also put draft excluders by the front and back door (I remember my Nanny and Grampy’s homemade “Sammy Snake” draft excluder. “Sausage dogs” were popular too!). You can buy these or make your own with an old blanket or jumper. Once you’re satisfied that you’re keeping as much heat in the home as possible, then you can relax and keep cosy. Keep a basket full of warm blankets in the living room and bedrooms for everyone to put over them- I love being covered by a blanket. Drink hot drinks, eat warm filling foods, such as soups and stews and bring a hot water bottle (or warmer) to bed each night (follow the instructions carefully). I like to put one in the kids beds while they’re having their baths, so the bed is toasty warm by the time they get in. Use your central heating/fire wisely- think carefully about what times of the day you actually need them on. In very cold weather, we time ours to come on about half an hour before we are home, then before bedtime and before getting up. Just having it on for short bursts, two to three times a day keeps our home warm but not too stuffy. Experiment and find out what works best for your home. How will you be keeping warm this winter?